Last week, my school's new principal challenged the teachers to join twitter as a means of communicating with parents and sharing with our community the great things happening at our school. We've had several teachers rise to the challenge. So after a few days of using the service, I asked the teachers what questions they had about it. This post has been written to answer their questions, as well as to help teachers everywhere better utilize this tool. How is twitter different than Facebook? Why should I use both? How should I use them differently? The biggest thing separating Facebook and Twitter as a communication tool is twitter allows all followers to see your tweets. Facebook uses algorithms to determine what users should see in their newsfeed, and even requires pages to pay to make sure all of their posts are seen by those that like them. So if you decide to make a Facebook page for your class, or just post on your profile things happening in your classroom, you have no idea who is actually getting to see those posts or not. Twitter is also more real time and temporary than Facebook. Due to facebook's algorithms, post on your newsfeed can be displayed in any order based on how relevant Facebook finds the material and will often resurface over the course of several days. Twitter is a true timeline in that a tweet remains at the point in your feed when you posted it. To put my opinion simply, Facebook works much better for sharing personal information and opinion, where twitter is better for dispensing information and news. Twitter sounds great, but I'm afraid I won't have time. This is absolutely a valid concern. Teachers are incredibly busy, and we need to be intentional about how we spend our time. However, twitter doesn’t have to be a big time commitment. The people who spend the most time on twitter are those who are trying to build a brand and following. Those people are trying to engage others in their field, finding good content to share, and building influence. Chances are, that isn’t your goal as a teacher. Your goal is simply to share information of what is going in your classroom. The people who care about that will follow you without much prompting. Beyond that, sharing content is a 30 second process and can even be scheduled in advance (which will be the case if you see tweets from me during hours I have students). How can I, and should I Iimit who follows my class? Twitter accounts can be set to “private” where the user has to approve any and all followers. The “Tweet Privacy” setting is a part of your settings menu. The question of whether you should limit followers or not depends on what your goals are. If you only want to share with parents what is happening in your classroom, limiting access to your tweets is probably fine. However, if you want your community to know the great things your school is doing, I would recommend leaving your account open. If your account is set to private, your tweets cannot be retweeted (according to twitter’s terms of service). Therefore, your school cannot share anything you post. So consider what your goals are, and make a decision that is right for you. What are hashtags, and how do I use them? The original purpose of the hashtag was to create common search terms around a particular topic or event. This would allow people to see tweets by users they don’t follow about a topic they are interested in. For example, last week Metro Nashville Public Schools encouraged people to tweet their first day of school pictures using the hashtag #MNPSDay1. By clicking on that hashtag, people can see the first day pictures of families across the district instead of just those they follow. However, after hashtags had become frequently used, people began adding them to the end of tweets as a punchline for a joke or a funny/ironic summary of a tweet. This has become as much a part of twitter’s culture as the original purpose of the hashtag. You do not have to use hashtags to use twitter for your classroom. They are great for connecting with other users and growing your audience or just showing your teacher wit, but not necessary in the slightest. How do I use @replies/mentions? What is the difference? @replies or mentions are a way to talk with other twitter users or include them in a conversation. There is a subtle difference in how they are used, but it is an important difference because it impacts who will see these tweets in your feed. @replies are used to reply to a particular tweet or user and are at the beginning of a tweet. For example: @theclassnerd That was the most fascinating tweet I’ve ever read! You are a gentleman and a scholar. If you were to tweet this, only people who follow both you and @theclassnerd would see that tweet in their timeline. An @mention talks about another user with the purpose of drawing the attention of your tweet to that user. Therefore they cannot start the sentence. 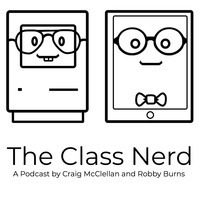 For example: Man, you guys should check out @theclassnerd’s blog. That guy is amazing. If you cannot create a sentence where the person’s name is not at the beginning, it is recommended to put a period before their handle. For example: . @theclassnerd’s blog is the best out around. I’ve never read anything like it. Complicated? Yes. But worth getting right. Again, this goes back to your goals for twitter. But, here are a few ideas. Tweet or Retweet articles you enjoy or think would be valuable for parents. Brags on teammates or you school. Common Core State Standards you are teaching that day or week. Pictures of group work on the board (circle maps, lists, etc). This is a long post, so well done if you’ve gotten through it. I hope it has been useful. Were there any questions you have that I didn’t answer? Is your school using twitter in a different and interesting way? Let me know in the comments.